I was in the market for a secondhand ride for the family, and I was lucky enough to find a good deal. 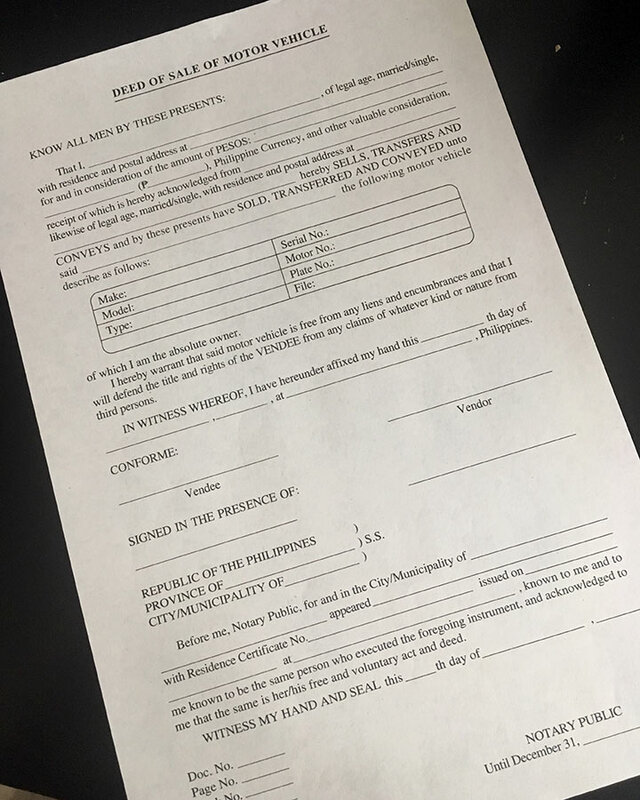 After agreeing on a price and shaking hands, it was time to do the paperwork to transfer the name on the LTO certificate of registration. I will document the process in another story, but for now, I want to share something I learned with you all. 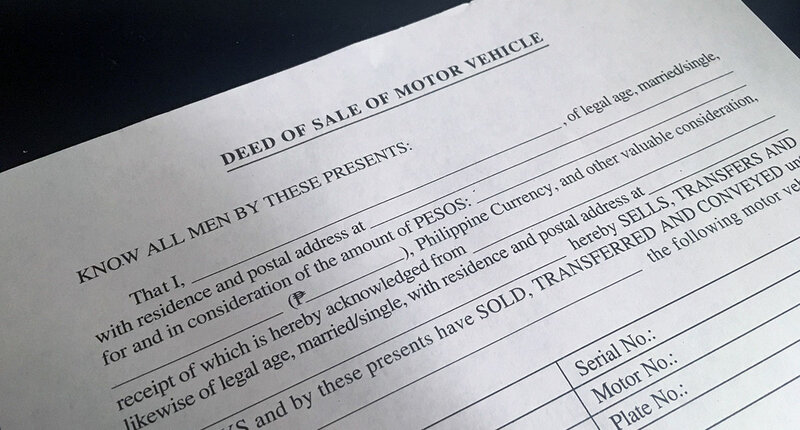 An important piece of paper in the process of transferring ownership of a motor vehicle is the 'Deed of Sale'. This is a legal document that needs to be signed by the vendor and vendee, and must be notarized. It is proof that ownership of the property has transferred from one person to another. I suppose back in the day we had to type these out manually. In the age of the Internet, it's very easy to find a copy online and print one out, too. But the best way to do it, at least during the sale of a secondhand vehicle, is to buy a template from National Bookstore. I had no idea you could buy them until the seller told me. Have I been clueless this whole time? Maybe. I'm not sure how long National Bookstore has been selling these, but the saleslady told me that stock sells out quickly. It's just P24 for a pack. I'm certain secondhand car dealers have known about this for ages. But if you are selling or buying a secondhand car for the first time, now you know. One less hassle, right?